Salt Lake City is the most populous town in the entire state of Utah. It is known for its oil-refining and steel companies. Trade, transportation, and utilities take up a significant portion of employment in the city, with the major employer being the Delta hub at the Salt Lake City International Airport. To keep the local IT professionals ahead in the knowledge curve, KnowledgeHut will shortly be starting a series of workshops on CSD certification in Salt Lake City. Join one of the courses on CSD training in Salt Lake City and gain deeper knowledge and experience in Scrum. The Certified Scrum Developer training in Salt Lake City is open for all the CSM credential holders who are IT professionals, software architects, developers, project managers, product managers, testers, QA professionals and engineers. If you don’t hold the required credentials, you can still join this course on Certified Scrum Developer certification in Salt Lake City subject to certain conditions. The five-day CSD course in Salt Lake City is divided into two parts. The first part, which has a duration of two days, will teach the participants about concepts, principles etc. of Scrum. 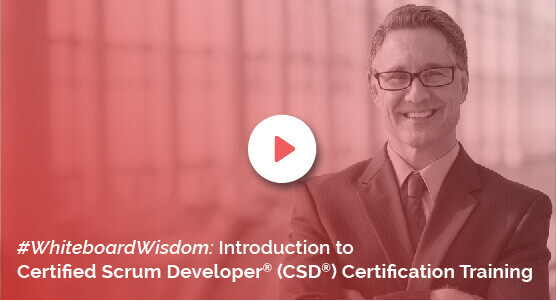 If you have a CSD credential then you can skip this part and take part in a three-day training that will teach advanced concepts about Scrum. The CSD certification in Salt Lake City will be led by certified tutors. The course fee of the CSD training in Salt Lake City includes the exam fee. Get free access to the online course material for 100 days upon registering in this unique course. KnowledgeHut has a worldwide-certified staff that has catered to 1500+ top organizations along with training individuals. One can apply for the certification course through the institute's website and avail its benefits.